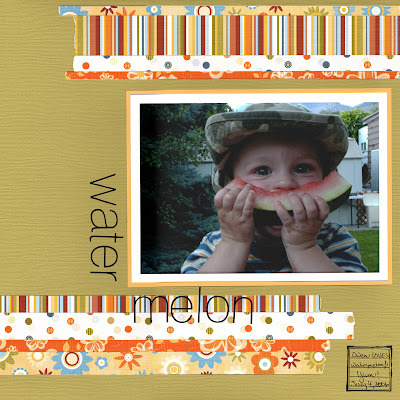 I love looking at scrapbooking blogs with 'challenges' on them, but I rarely do them. Until now. Two weeks of Pencil Lines sketches, scrapbooked (the Love Hurts layout was from sketch #20). I'm so happy. I've been scrapping out of order. It's making me a little crazy (where do I put the layouts?!?) but it's okay. I'm handling it.